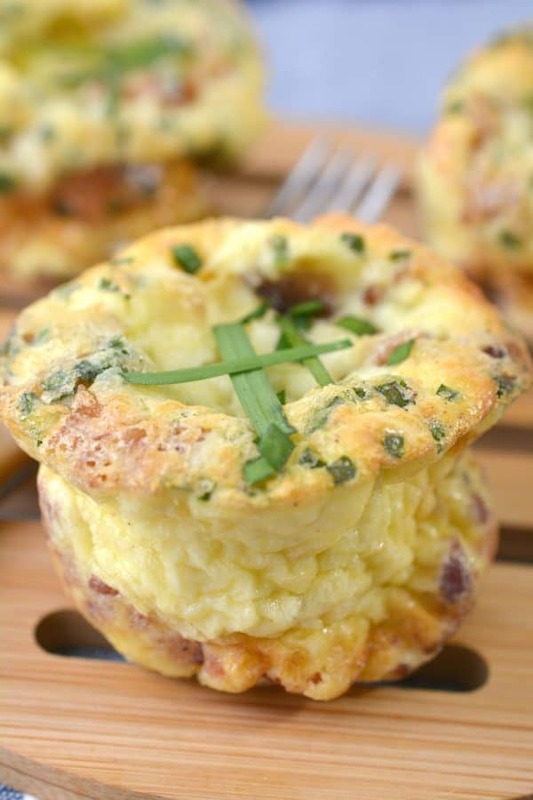 These keto bacon and havarti breakfast puffs are one of the BEST keto breakfast ideas! 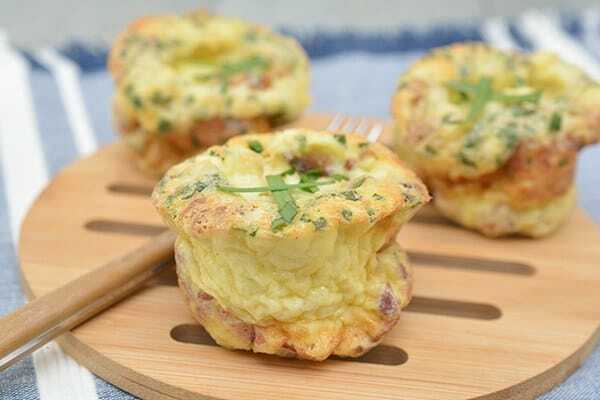 If you’re looking for some delicious keto breakfast muffins, you are going to LOVE these bacon egg cheese cups! They’re perfect for weekday mornings and are so full of flavor – giving you the perfect start to the day. 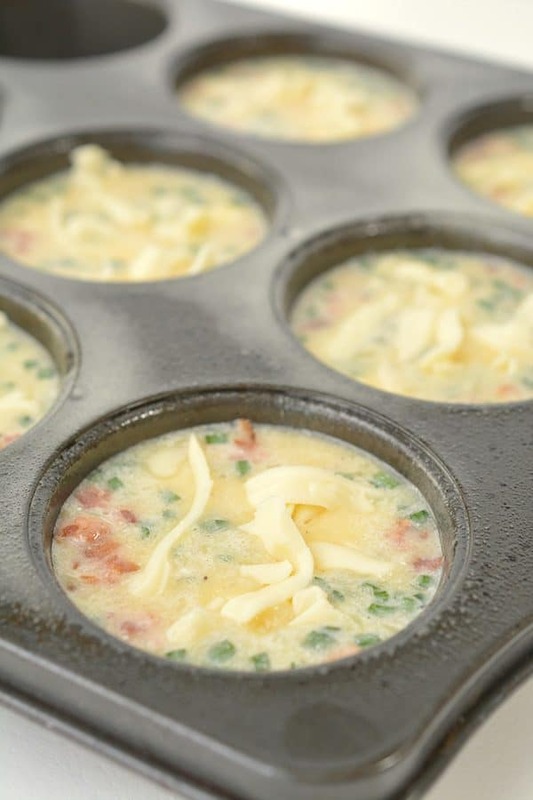 Follow the easy step by step recipe below to make your own low carb bacon egg muffins! 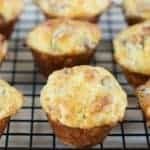 What I really love about these keto breakfast muffins is that they freeze SO WELL!! 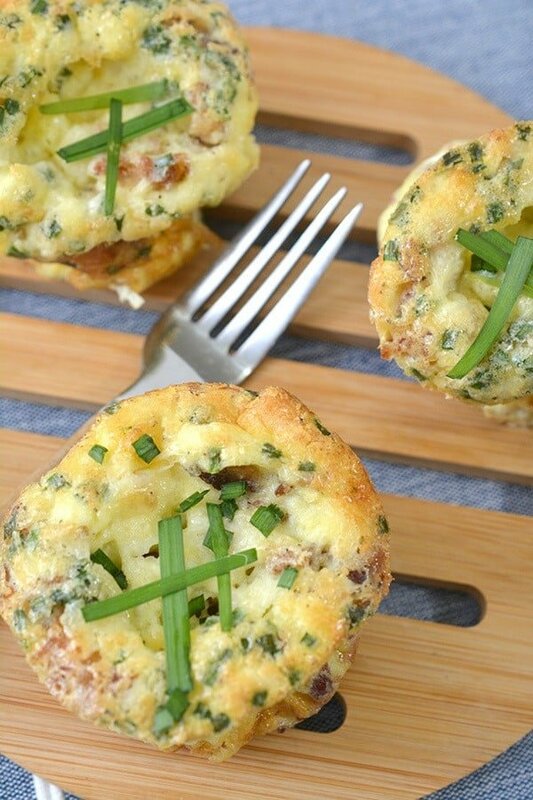 If you need some keto breakfast ideas for on the go – these are so perfect. Store them in the freezer and then just pop one in the microwave for a few seconds as you’re heading out the door. These are the go to for my family. 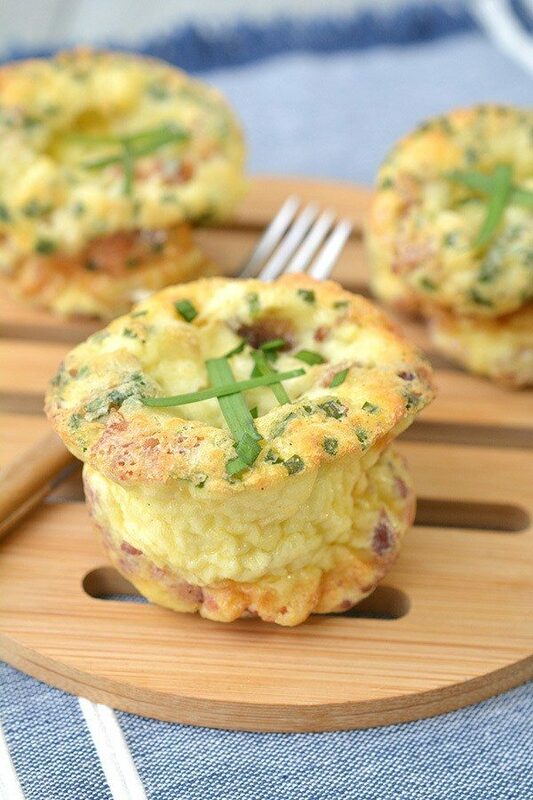 We love how these bacon egg cheese cups taste and it’s not unusual to see someone grabbing a bunch of these low carb bacon egg muffins. 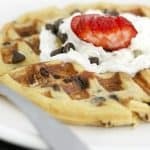 They are such a delicious breakfast for busy mornings! 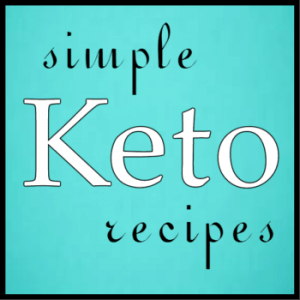 I know… you just want to get to the recipe for your keto bacon and havarti breakfast puffs. 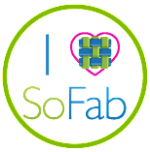 I know you are going to LOVE these! Just scroll down for the full recipe. 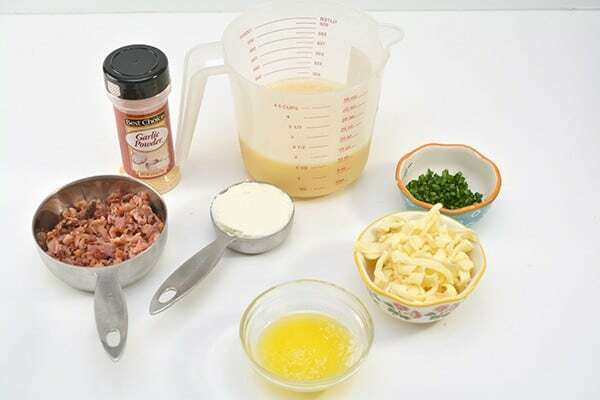 First, gather up your ingredients to make it easier in the kitchen! 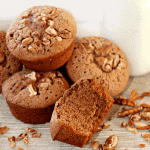 Preheat your oven to 350 degrees and prepare a muffin tin with cooking spray. 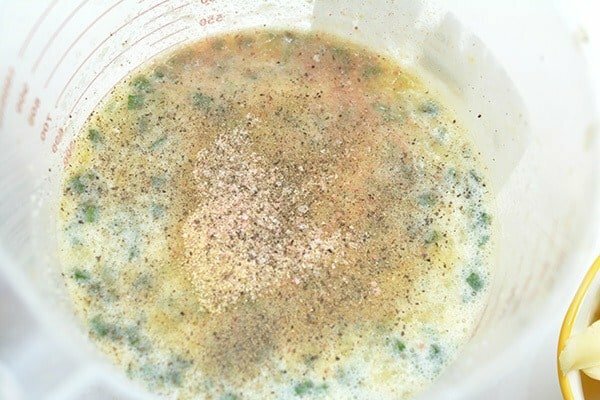 Once you’ve done that, whisk the ricotta cheese into eggs until well combined and then add chopped chives, garlic powder, salt, and pepper into the egg mixture and mix well. 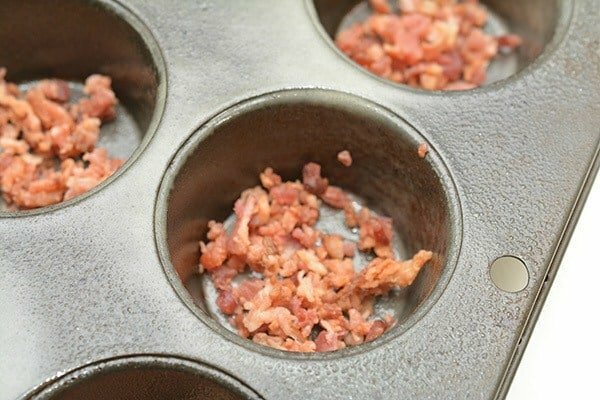 Sprinkle a tablespoon of crumbled bacon pieces into the bottom of each mold in the muffin tin. Then, pour the egg mixture into each one, about 3/4 of the way full. 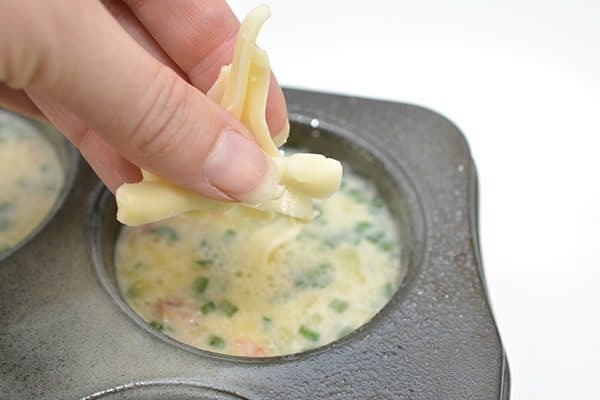 Add a pinch of cheese on the top of the egg mixture in each mold. Bake for 15-20 minutes, or until they have risen and are cooked in the center. They will deflate once they begin to cool. Serve warm with optional chopped chives as a garnish and enjoy! 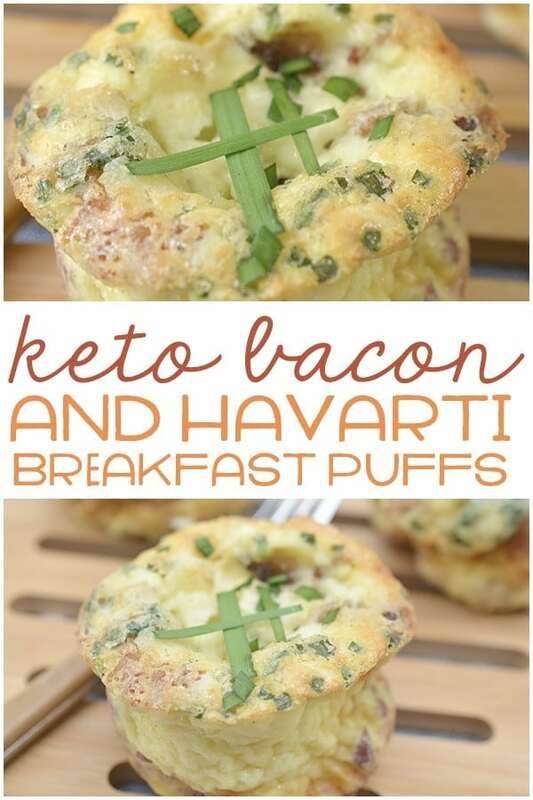 These keto bacon and havarti breakfast puffs are one of the BEST keto breakfast ideas! 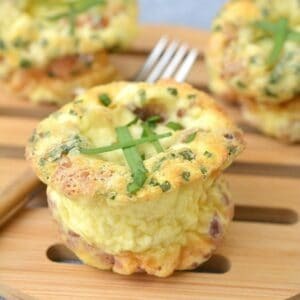 If you're looking for some delicious keto breakfast muffins, you are going to LOVE these bacon egg cheese cups! Preheat your oven to 350 degrees and prepare a muffin tin with cooking spray. Whisk the ricotta cheese into eggs until well combined and then add chopped chives, garlic powder, salt, and pepper into the egg mixture and mix well. 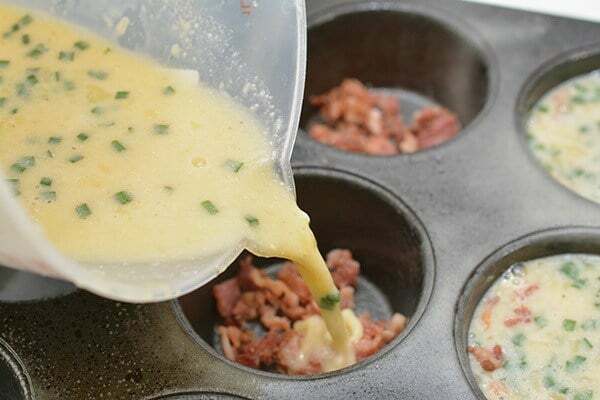 Sprinkle a tablespoon of crumbled bacon pieces into the bottom of each mold in the muffin tin and then pour the egg mixture into each one, about 3/4 of the way full. 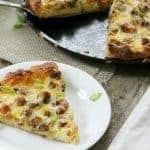 Add a pinch of cheese on the top of the egg mixture in each mold and then bake for 15-20 minutes, or until they have risen and are cooked in the center. They will deflate once they begin to cool.